Small family owned and operated. John, the owner, has been working in the field for over 32 years. There is not much that he can't diagnose and fix. He has owned White Marsh Muffler & Brakes for over 20 years. We offer unbeatable prices, reliable experience, and efficient service in our convenient shop. Our shop offers up to date diagnostic equipment combined with family friendly service. We provide a service guarantee for all of the work done with us. 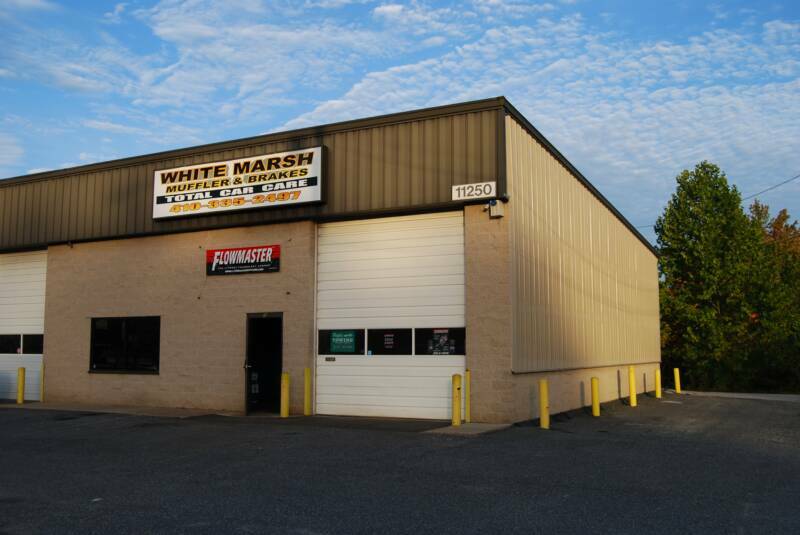 Here at White Marsh Muffler & Brakes, we offer complete general, performance, and fleet auto repairs. Free inspection and estimates on most of our work. WE ALSO DO CUSTOM FABRICATION, REBUILD ENGINES AND REWIRING. WE ARE WELL KNOWN FOR BENDING SYSTEMS THAT OTHERS CAN'T. ASK ABOUT SOME OF THE SYSTEMS THAT WE HAVE DONE.